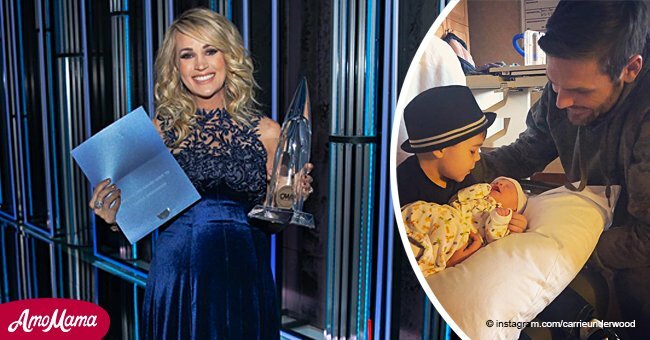 Carrie Underwood was dressed to kill, flaunting her toned legs at the 2019 ACM Awards, just a few months after giving birth. The singer also shared details about her newborn and his older brother. 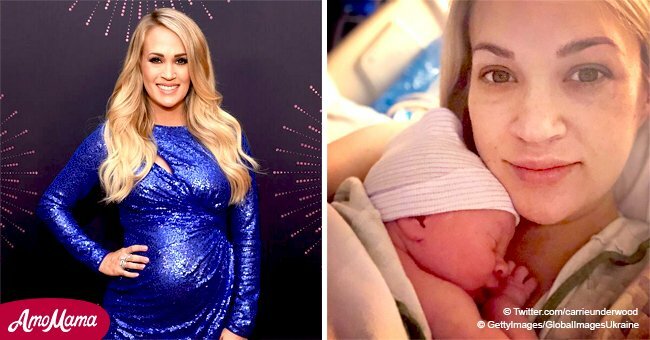 Carrie Underwood is still in shape even after the birth of her second child, Jacob Bryan, earlier this year. The 36-year-old singer was present in the 2019 Academy of Country Music Awards last Sunday which was held at the MGM Grand Garden Arena in Las Vegas. Underwood wore a shiny silver and black one-shoulder gown with double slits up to her thighs, paired with studded sandal heels. 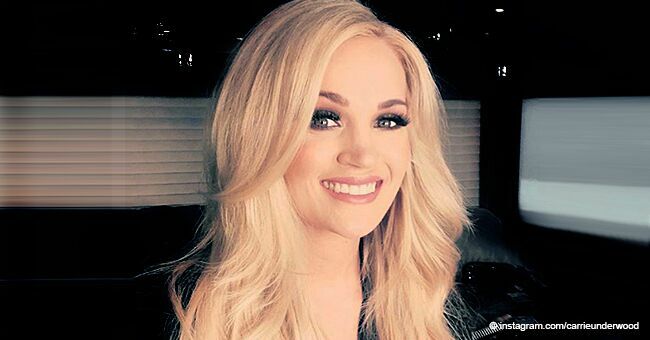 Her husband, Mike Fisher, rocked an all-black ensemble -- button-down, suit, pants, and shoes. The singer went through the night looking confident despite her recent reveal about struggling with the changes in her body after pregnancy. Last month, Underwood posted on her Instagram account the difficulty of “bouncing back” after her birth with Jacob. “I’m going to be honest, “bouncing back” after having Jacob has been much more difficult than after I had Isaiah and I’ve been pretty hard on myself lately. I go to the gym and I can’t run as fast or as far. I can’t lift as much weight or do as many reps as I could a year ago,” she said. However, the “American Idol” winner also realized that going back to her old figure is a journey that requires loving your body. “I make a promise to myself to start appreciating what my body CAN do and stop focusing on what it can’t. I promise to stop analyzing every angle and every curve and every pound and every meal. I’m going to keep staying the path because it is a journey and as long as I’m always working towards my goals, one day I’ll reach them,” she added. Underwood has definitely inspired her followers through her social media. She also uses Instagram as an avenue to share the different happenings in her life, including her recent birth. The birth of her little one followed three miscarriages which Underwood had from 2017 to 2018. The country singer was open about her struggles and how she felt about her situation then, as she shared it during an interview with CBS Sunday Morning. “My son, Isaiah, is the sweetest thing. And he’s the best thing in the world. And I’m like, ‘If we can never have any other kids, that’s okay, because he’s amazing.’ And I have this amazing life. Like, really, what can I complain about? I can’t. 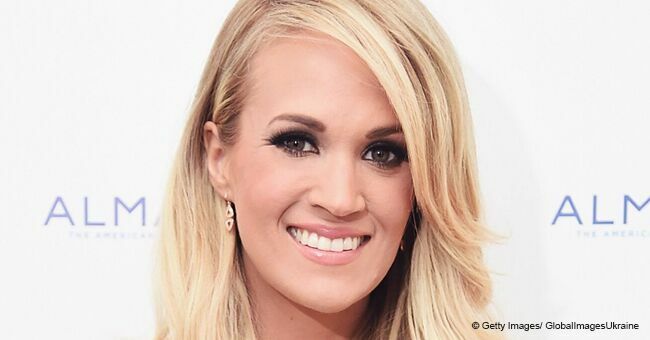 I have an incredible husband, incredible friends, an incredible job, an incredible kid,” said Underwood. Despite having gone through such a difficult time, their family kept strong and happy, until the arrival of their latest miracle. It just goes to show that things are bound to happen at the right time, not at the time we want.